In Australia, mental illness severely impacts our society, both socially and economically. How common is mental illness? The Australian Bureau of Statistics revealed that roughly one in every five Australian adults, aged between 16 – 85 years will suffer from at least one of the most common forms of mental illness in any given year, whilst 45% will experience a mental health / substance-use disorder at some point in their lives. As a consequence of poor mental health, a survey revealed that approximately 25% of employees missed work each year due to stress and related reasons. In addition to the significant effect that poor mental health plays on the economy, it is also important for employers to realise that an unhealthy workplace environment is likely to cause undue stress and, therefore, contribute or even exacerbate the development of a mental illness. In many organisations stress is the catalyst behind poor mental health, especially when it becomes excessive. Managing stress is the key to maintaining healthy employees, which in turn contributes to a healthier business. Managing stress in the workplace starts with awareness of the illness and the signs that indicate employees are struggling with the demands of the workplace. Emotional instability (for example, hot temper, uncontrollable laughing or crying). Managing mental health in the workplace is not as simple as just making a few changes to the workplace environment; it demands a holistic approach. Kuntz, Malinen and Näswall (2017) have suggested organisational resilience is essential to mitigate the harmful effects of workplace stress. From their perspective, resilience is an organisation’s capacity to continually develop resources and identify opportunities to increase competitive advantage, not only in the aftermath of a crisis but also in stable environments to ensure preparedness for change and challenges. With this in mind, strategies to manage mental health need to provide a buffer to stressors and provide enough flexibility to help when an employee’s circumstances make life too stressful. Improvements to both organisational and employee resilience can be easily implemented through workplace initiatives. Limit extra working hours: Statistics show that 5 million Australians are working more than 40 hours per week. It is inevitable that on occasion employees will need to work longer to complete projects, but where possible, keep employees to reasonable hours. Schedule meetings only during primary work hours: this helps to put employees at ease knowing that their non-working hours are protected and are free to plan as they please. Encourage regular breaks: Encourage employees to take some time to walk, stretch and leave the workplace during lunch in order to feel more ‘refreshed’. A small break once an hour or an afternoon tea break can help recharge staff. Minimise taking work home: this is important for maintaining that ‘work-life balance’ for overall mental health and well-being. Encourage flexibility in working conditions: flexible locations, flexible hours, flexible rostering and flexible working patterns all help by tailoring the work to the style which best suits the employee. Frequently offer EAP: Employee Assistance Programs can greatly improve mental health and should be provided to employees as an option as much as possible. Another way to help manage stress in the workplace is through ensuring the physical health of employees. That includes getting appropriate sleep and having healthy and nutritional meals. Since 2009, research by the Food & Mood Centre concluded that ‘better quality diets are consistently associated with reduced depression risk, while unhealthy dietary patterns are associated with increased depression and anxiety’. 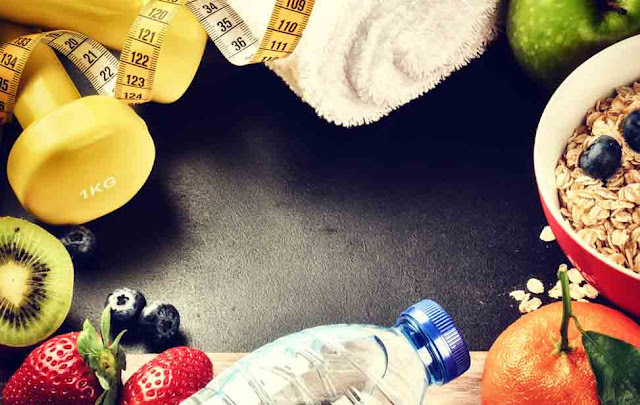 Employers could consider initiatives that take care of employee health such as providing regular healthy snacks, or even free gym memberships. Supplying employees with pedometers, water bottles, and other such items can further support well-being initiatives, and allows organisations to emblazon those items with the company logo. As for having a good night’s sleep, the Sleep Health Foundation conclude that ‘poor sleep and depression are very closely linked’ and that research shows that ‘60-90% of patients with depression have insomnia’. A lack of sleep can contribute to overall depression and stress, and sometimes it can turn into a vicious cycle, as depression often leads to disruptions in sleep. Sleep is the body’s way of repairing and recovering itself for the next day, as well as allowing time for the brain to process and learn information. Help employees to self-monitor their sleep through awareness of mobile applications that track sleep cycles. There is a vast amount of information and resources out there to help individuals and employees to cope with stress. It is important to encourage employees who are suffering to explore what’s out there and become involved in support groups which assist in maintaining a positive and balanced mental health. Heads up is a website developed by beyondblue based on helping to assist in delivering ‘better mental health in the workplace’ and has workplace resources targeted to employers, employees, managers, as well as small business owners. They include a support network and there is an option to register and become part of the Heads up community. Education regarding these options and other means of improving mental health is vital to the maintenance of employee wellbeing. An example of an effective program that drew the attention of many Australian organisations last year was the ‘Are You Okay?’ day which asked employees to discuss mental health with co-workers. 1. Identify the types of activities that draw on your natural interests and strengths, and give you a deep sense of joy and satisfaction. (For me it is learning new things and being creative). Spend some time each week doing these types of activities. 2. Before you go to sleep each night, ask yourself “What are three things that went well today and why?” Tell your partner or write these down. This will help to put you in a good frame of mind, short circuit any negative thought patterns and improve the quality of your sleep. 3. Remind yourself why you do the things you do. Staying in touch with a bigger sense of purpose will help to reduce the inevitable frustrations associated with short term setbacks, and give you the motivation to keep going when the going gets tough. Your business and your work probably make a positive difference in many ways to the lives of your staff, customers and, of course, your family. 4. Avoid engaging with people who are negative and cynical, and stay connected with positive people who genuinely care about you. The people we associate with have a huge impact on our state of mind and what we focus on. 5. Make an effort to be curious, helpful and encouraging when dealing with other people. Not only might this help others, the act of being helpful is also beneficial to the brain of the helper. This is known as the helper’s high. 6. Do something specific at the end of the day that helps you to separate your work time from your personal life. For instance, you might change your clothes, listen to or play some music, walk the dog, play with your kids, have a shower or do some exercise. Put your attention totally into this activity. This is sometimes called a transition ritual. 7. Now this may sound corny but it works. Remind yourself of the things you can be grateful for. Expressing gratitude to others is also recommended as it puts you and them in a more positive frame of mind, and will encourage them to keep supporting you. This can be a simple email, phone call or text. If you have managed a project with my team you may have received a thank you card. We enjoy writing these cards as much as you enjoy getting them. Managers can look to encourage employees to take up some of these practices to aid in mental health management, along with our own recommendations, to develop a culture of mental safety and awareness. Ideally, these techniques will not only reduce stress and the dangers of mental illness in your workplace, but foster emotional resilience, a personality trait that is seeing increasing use in selection and development assessment. Recent reviews of resilience initiatives suggest that approaches to resilience development that focus on stress and well-being may improve coping skills and other personal resources essential to improving employee resilience, but fall short of addressing the contextual factors that promote or hinder resilience capability. Unfortunately, some employees simply do not have the capacity to manage stress. Subsequently, ascertaining stress and well-being levels among employees through personality assessment is essential to determining whether they have the personal resources to engage in resilient behaviours for future stressors. The Business Personality Reflections® is one such personality questionnaire that measures business-related traits to assist in selection and personal development decisions. Developed by Psych Press, this assessment contains 70 personality scales that can be tailored to any organisation’s needs. Below is more information about the Business Personality Reflections® Emotional Resilience scale. Emotional resilience is described as the ability to deal with adverse situations and adapt appropriately to these environmental changes. Additionally, emotional resilience refers to one’s composure, self-sufficiency and calmness through stressful situations. The Emotional Resilience scale measures an individual’s ability to handle challenging situations, and further, in what manner they handle this. As workplaces can be unpredictable, emotional resilience is essential in coping with inevitable daily stressors – particularly in high stress environments. A literature review conducted by Jackson et al. (2007) found nurses high in personal and emotional resilience were less vulnerable to workplace adversity, which in turn improved their overall well-being and workplace performance. Furthermore, research has shown a significant, negative association between psychological distress and emotional resilience (Kinman & Grant, 2011). That is, the more emotionally resilient an individual is, the less likely they are to have unpleasant feelings or emotions that impact their daily functioning. Moreover, McGarry et al. (2013) found levels of depression, anxiety, and symptoms of PTSD were negatively associated with high resilience in healthcare professionals. Lastly, emotional resilience has been indicated as a predictor in improved staff retention (Kinman & Grant, 2011). Organisations who hire individuals with strong emotional resilience are likely to have clear-thinking, confident and well-rounded employees. If you would like to learn more about the Emotional Resilience scale or the Business Personality Reflections®, simply enquire now for a free trial. As we close on 2017, HR leaders have a chance to look forward and size up the novel challenges of the New Year. Over the next 12 months businesses may find themselves needing to adapt to these trends or risk falling behind the competition. Unsurprisingly technology will continue to drive the future of the work. Data science has made massive strides as of late; consider that over the last few years 90% of the world’s data has been produced. With this in mind, what do we see as the major trends for 2018? Technology continues to play a larger and larger role in the workforce. Therefore organisations need to move at speed to adjust to a growing skills gap. There are presently 201,300 job openings in Australia that are unfilled, a 14% increase from the previous year. This skills gap has been trending up for the past three years, and will only continue to grow as the roles of the past fall to the wayside. According to researchers John Seely Brown and Professor Peter Denning, the half-life of a learned skill is only 5 years – that is, much of what you learned 10 years has become irrelevant, and half of what you learned 5 years ago is obsolete. As more industries become disrupted by changing technologies, the need to upskill employees to meet demands will become apparent. Luckily, thanks to those same technologies, upskilling and retraining programs will also become far cheaper to conduct. While the learning domain has been slow to utilise technology, expect a push towards direct and immediately applicable teachings. Big portions of material will be divided into more easily digestible pieces (micro learning), with immediate access as needs arise. Gamification practices will also ensure learning occurs in a more playful and engaging manner. As VR devices become increasingly mainstream, the capacity of organisations to create novel learning practices will only grow. Working virtually continues to trend as a flexible alternative to accommodate employees in maintaining a work/life balance. 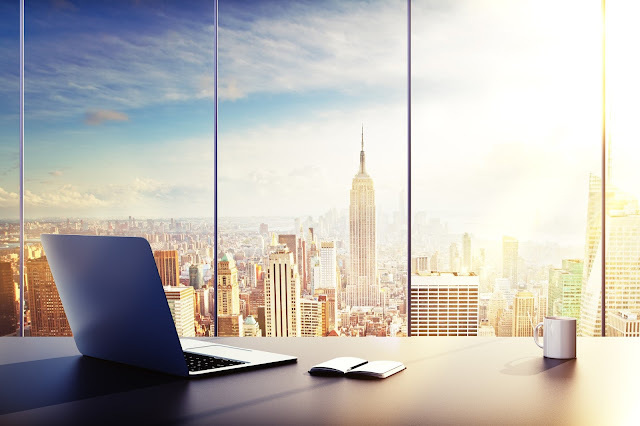 Over the past two decades in the US the amount of employees working at least partially through telecommuting has quadrupled and now stands at 37%. A large driver of this stems from the development of VPN technology that makes it easy to access work systems from nearly any computer. Given the majority of workers have stated they want this flexibility as part of their work week, companies that shift to this approach have a sizable advantage in attracting talent over fellow competitors. We expect more organisations will adopt initiatives such as ‘Work from Home Wednesday’, to break up the work week and enable employees to more easily tend to personal needs and appointments outside of the office. More and more HR departments are recognising the value of work/life balance. Many are now implementing policies that limit the checking of email and work product while out of the office and/or on paid time off. They are also looking to encourage staff to use personal days where needed to ensure when they are at work, staff are refreshed and effective. HR departments are also emphasising ways to mitigate stress in the office. Personal and financial stress has always found ways to creep into work, but companies are now looking to create initiatives to better manage employee stress. In many organisations stress is the catalyst behind poor mental health, especially when it becomes excessive. Managing stress is the key to having healthy employees, which in turn contributes to a healthier business. Employee Assistance Programs should see increased use as an option to cope with these demands. The traditional interview process of the past will continue to transform as organisations become further aware of the dangers of bias. Scandal has rocked several major organisations in 2017, with Google being only one of many companies accused of gender bias discrepancies in the workplace. To protect equality and minimise controversy blind hiring practices should become the norm. In standard screening and interviewing unconscious biases can quickly become a factor in hiring by including data that gives away key parts of a candidate’s background: data such as gender, age, and race. By converting hiring to a blind process, stripping away information that can reveal demographic data, the first waves of screening can be done purely based on abilities and achievements. This allows for a more diverse workforce built on merit, and will not only make the process more candidate friendly, but more predictive as well. Politicians often speak at length about the return of jobs in manufacturing and manual labour, but the hard truth is that those positions are going away in the face of evolving technology. Universally, artificial intelligence is going to change the way we work. Over the next 30 years, automation will affect every job in Australia, but the workers whose jobs are the most susceptible to automation work in construction, trades, food preparation and cleaning. Where does this leave the human work force? In 2018 it is up to organisations to re-examine their human resources and determine the best way to pivot employees into future positions. HR professionals will need to be able to identify the staff that are willing and capable of embracing different aspects of jobs, such as management, problem solving, troubleshooting and other areas that require the human element. The long-term savings will be substantial for organisations that plan ahead and maximise the human potential of their current workforces. With 2018 is just around the corner, it is clear that these technology-driven trends are going to have a significant impact on the HR industry sooner rather than later. Savvy organisations have the ability to invest time and resources now in order to get ahead of the game. Hit the ground running in the New Year and prepare for the future today. Skills, Abilities, Knowledge, and Competencies… What’s the difference? Maverick, fighter, adapter, victim: how would you approach a business merger? © 2015 Psych Press. Powered by Blogger.